Collins Booksellers - Assessing Fetal Wellbeing: A Practical Guide by Lesleigh S Baker, Mark C Beaves & Euan M Wallace AM, 9780995361621. Buy this book online. The new edition of this best selling handbook has been completely updated to support the latest Royal Australian and New Zealand College of Obstetricians and Gynaecologists (RANZCOG) Intrapartum Fetal Surveillance (IFS) guideline as well as the Fetal Surveillance Education Program (FSEP) workshops, Online Programs (OFSEP & OFSEPlus) and assessment tool. This is an essential and easy-to-read resource for all clinicians involved in the care of women in pregnancy and labour. Over 60 examples of real CTGs (1cm/min) are provided, supported by detailed descriptions and guided interpretation. 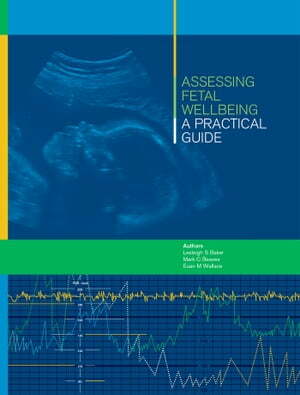 The authors of Assessing Fetal Wellbeing; a practical guide have kept the handbook short and clinically focused. As with the RANZCOG FSEP, a solid understanding of fetal physiology underpins the clinical application of knowledge. This handbook will better equip clinicians to be able to interpret and manage the diverse fetal heart rate patterns that they will see in their daily work.